Paris in less than four days; do it! We did! WAY before our trip we had a few “planning” dinners at Saint-Emilion in Fort Worth. We felt the authentic French atmosphere really helped us get into the groove to plan our trip in France. The amazing food and wine was just an extra added bonus. We agreed that we weren’t going to focus on doing the most Parisy of Paris things while we were there. No Eiffel Tower. No Louvre. No love lock bridge. Our focus was on horses and fashion and eating. However, we did happen to fit a few touristy items into the agenda. My partner in travel had been to Paris within the last year and had some destinations undiscovered that she wanted to experience so we focused on a couple highlights and let the rest fall into place. In keeping with our hunting theme we first headed to the Musee de la Chasse et de la Nature (Museum of Hunting and Nature). Other than the arbitrary contemporary art exhibit that was there on a temporary basis, this is my favourite museum ever. Small enough to get through, but interesting enough to spend hours. I feel like I could go there 5 times and immerse myself in a completely different part of the museum every time. It had incredible hunting art, guns and knives, taxidermy and fantastic explanations of the focus of hunting through French history. 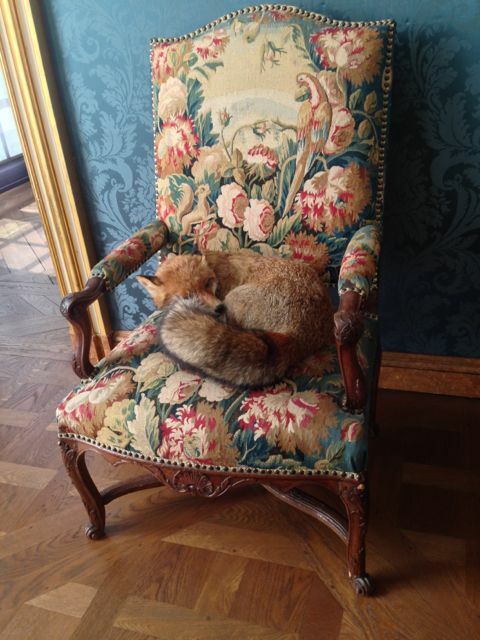 Our most favourite was Reynard sleeping in a chair. Reynard is an often used name for the fox being hunted by hounds. After our few hours at the Musee de la Chasse et de la Nature we decided to do the touristy of touristing and visit the Notre Dame. We were visiting on a Sunday and, to my delight, were able to go during mass. 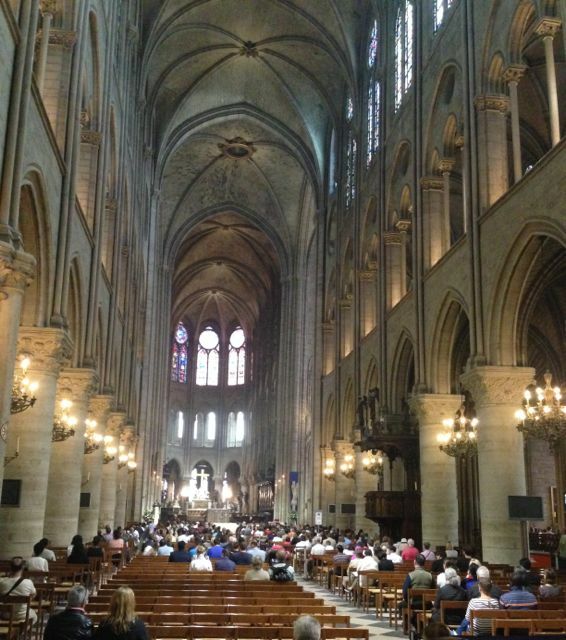 I felt tacky touring through the Notre Dame during an actual religious mass, but it was well worth the visit. You can’t help but feel some kind of spiritual presence in such a magnificent building. The mass was in French, but the emotion of the priest was palpable without fully understanding the words he was saying. And I’d be lying if I said I didn’t want to hit the tourists being disrespectful and talking as they walked around the building. Destination number three for the day was the Luxemburg Gardens. Have I mentioned how perfect the weather was during our entire trip? Lots of overcast skies, but nary a drop of rain and the delightful temperature almost every day of around 72F. PERFECT weather to visit parks and gardens. We knew before going that Luxemburg Gardens are home to one of, if not THE, oldest carousels in the whole wide world. My Mom LOVES carousels so I really wanted to see it during our visit. We wandered around the entire garden and watched at the adorable pond where kids were sailing little sailboats around and people were camped around in the grass with picnics. 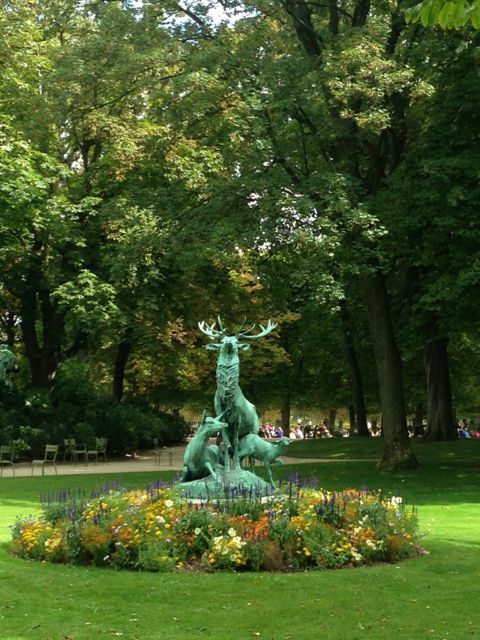 There were a lot of picnickers in Luxemburg Gardens. We came across this breathtaking bronze of some stags. With the green grass and sharp colours we had to get a photo. 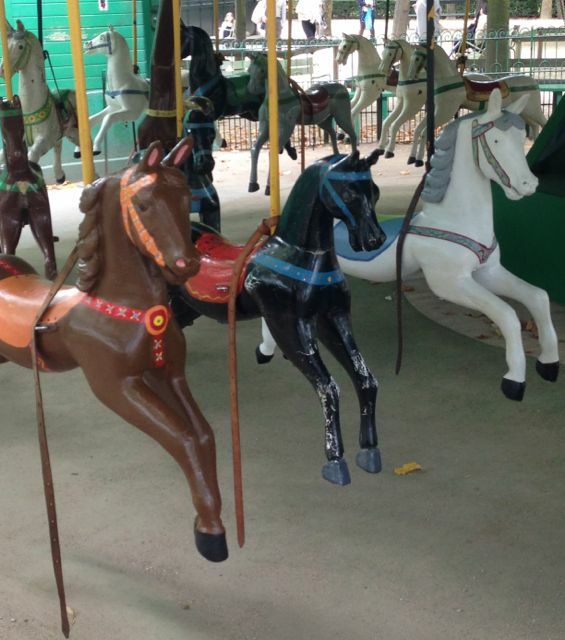 We followed the sounds of a plethora of energetic kids to find the carousel. It was much smaller than I imagined it would be and there was no one around it. There were signs that said 1.5Euro, but the gates were closed, not locked, and no one seemed to be attending the ride. While the gates were closed, they were not locked, so we took it upon ourselves to open the gates and head in to get a closer view and photos. Just in time for a small Asian man to come hustling out of a little room and chastise us for going through the gate. It was hilarious! I thought he was telling us no photos, but turns out he was telling us no rides (or something like that). There was no way I was going to try to ride one of those tiny carousel horses, but it makes for a funny story. Right?! Interestingly, all the tails from the carousel animals have been removed. Perhaps from age the have fallen out over the years, or were taken off for reasons of durability. We headed back towards our hotel and opted to wander down the Champs Elysees. Let me tell you, it is highly overrated. Full of American chain stores and overrated “high” fashion. 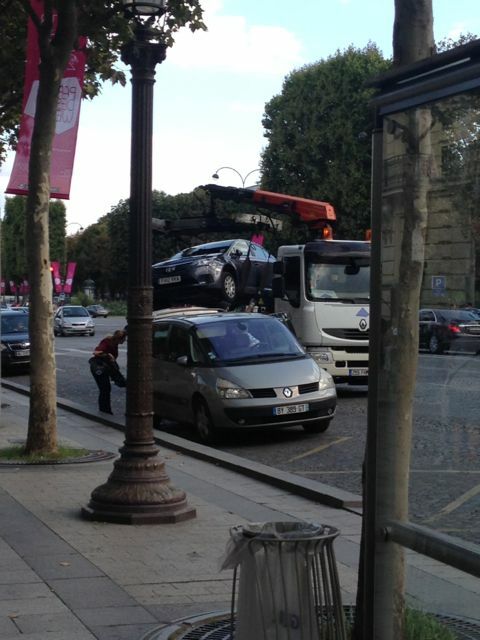 My favourite part of the Champs Elysees was the car removal we watched. They evidently don’t tow cars like we do in USA, which I can understand considering the narrowness of most streets. However, I can’t say I’d be all that confident in this guy moving my car from it’s parking space. He bumped the sides and bumpers of this poor chap’s car a few times before he finally got it out and situated on the trailer. Nevermind the large crowd that gathered to watch. It was pretty hilarious. 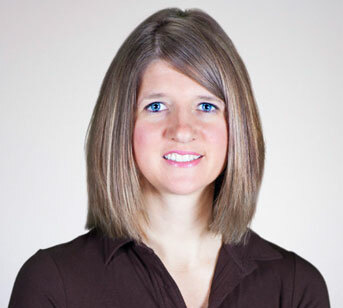 « Chantilly lace had a pretty face…..